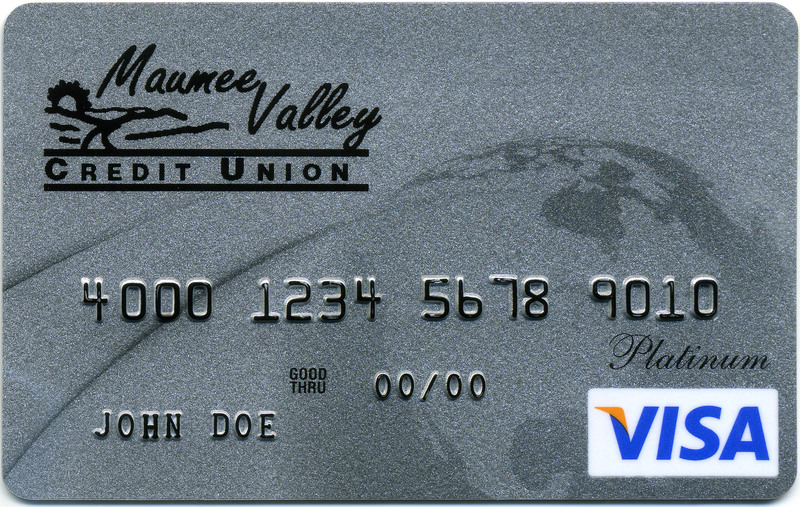 Use your Maumee Valley Credit Union VISA for life’s daily expenditures, small pleasures, or unexpected emergencies. New EZCardinfo web site, click below or from the HOME page. NEW: Go paperless with your MVCU Visa Credit Card Statement. Go to ezcardinfo.com and log on to your account. Once on your account click on the header called STATEMENTS, then choose Statement Delivery Option to automate statements. MVCU’s disclosure. MVCU Visa Platinum credit card will have rates that vary between 9.9% and 19.9%. These rates will be based on your credit score. There is no annual fee; free balance transfers; 25 day interest free grace period on purchases; worldwide ATM access with convenient lines of credit. In addition to the convenience of shopping with your VISA card, you can also obtain cash advances at any financial institution displaying the VISA symbol. MVCU doesn’t charge for cash advances, however, other financials may charge a fee. Credit Scores may be reviewed on an annual basis and your rate may be changed to reflect your new credit score. However, any rates you were being charged on purchases or cash advances prior to the rate change will stay the same. Your new charges would reflect your new rate on the date the rate is changed. You will be notified of any rate change. The rates on MVCU’s Platinum Card are not variable rates that vary to an index! Avoid late payment charges by signing up for automatic payment. Choose how much you wish to pay towards you VISA balance each month and we’ll make sure your payment is made on time. Automatic payments are available through EZcardinfo. Click on our link below or type in www.ezcardinfo.com to access your account. You can also monitor the activity on your credit card… you can download up to 18 months of statement history. If your VISA Platinum Card is lost or stolen, please call MVCU immediately at (419)872- 1201 or (419) 382-4071 or (800) 890-7931.